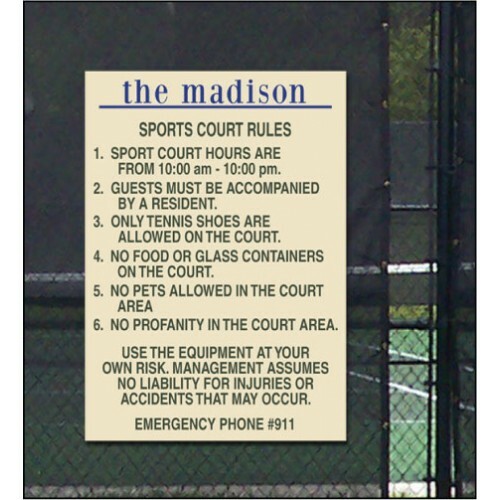 Our custom rules signs are digital print on aluminum composite. Customize with the colors and graphics you want. Signs shown are 18" x 24" in size. If you need specific rules or other requirements, let us know.